This glistening gold 'Always shine bright' bookmark will make the perfect gift for a little bookworm. 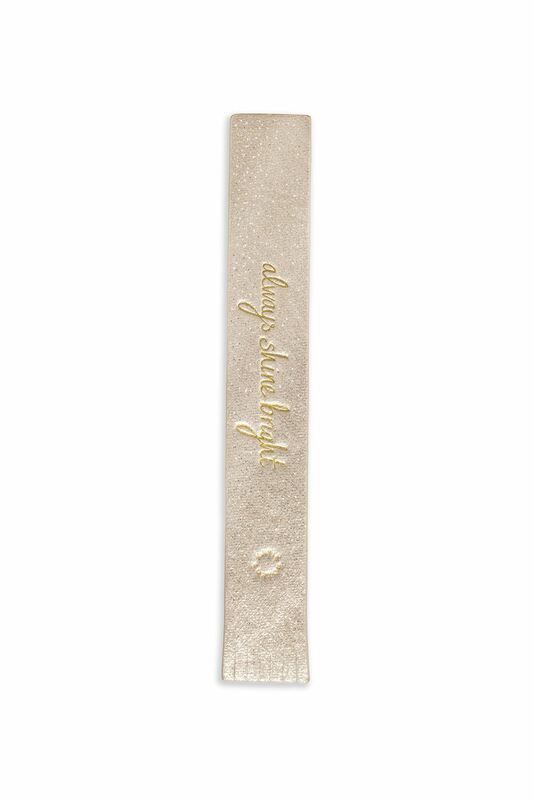 This shimmering bookmark from Katie Loxton is the ultimate accessory for any bookworm. A glistening gold, PU leather bookmark has the sentiment 'always shine bright' embossed on the front in elegant golden handwritten text and a stylish fringed bottom - a small Katie Loxton brand logo is also stamped at the bottom. The perfect addition to your latest read, make sure you can find your page with ease with this beautiful bookmark.